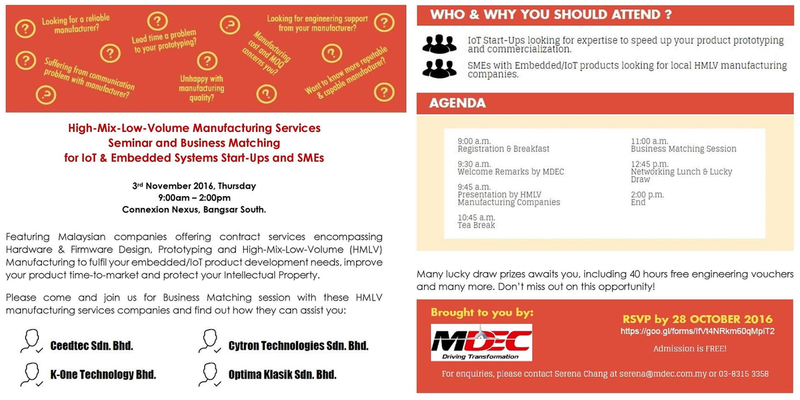 [High-Mix Low-Volume (HMLV) Manufacturing Services Seminar and Business Matching] High-Mix refers to a product that go through design variations after manufacturing starts, Low-Volume refers to short production runs. Both are anathema to traditional manufacturing. But if you want to make and sell a custom gadget (say a cute home camera) with a small first run quantity and still-developing specifications, where would you go?